At least 10 people were killed Tuesday in a shooting spree covering two small southern Alabama towns, a state official confirmed. The gunman was among those killed. 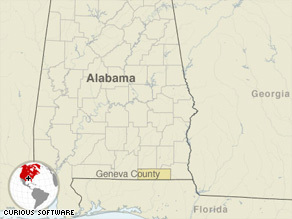 The initial shootings happened in Samson, Alabama, about 15 miles from the Florida border, a police dispatcher told CNN. Samson Police Chief Gary Weeks told a newspaper in nearby Dothan, Alabama, that it wasn’t immediately clear whether he shot himself or someone else shot him. The FBI bureau in Mobile, Alabama, sent an agent to assist the Geneva County sheriff’s office and local police, a spokeswoman for the FBI said. No other details were immediately available.